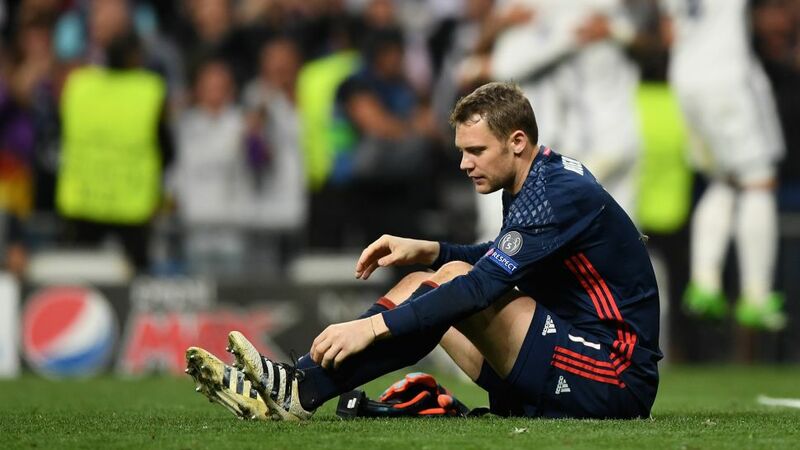 Four-time World’s Best Goalkeeper Manuel Neuer has suffered a further injury to his left foot during FC Bayern Munich’s UEFA Champions League elimination against Real Madrid and will miss the remainder of the season. The Bayern and Germany No. 1 fractured his foot during the action that led to Cristiano Ronaldo’s goal putting the Spaniards 3-2 ahead in extra-time. He was diagnosed with a fracture shortly after the game, but will undergo further examination following the squad’s return to Munich. During the team's post-match banquet in Madrid, club chairman Karl-Heinz Rummenigge confirmed that the 31-year-old will be out of action for around eight weeks. Click here for more Bayern Munich news.